Hi there! We're so glad that you're taking the time to read our profile. Together we enjoy creating music and art, spending time in nature (one of our favourite vacations this past summer was canoe camping!) and quiet evenings with a good book. We prioritize caring for ourselves, the world and the creatures in it, and we practice gratitude for things big (like our health) and small (like the first bite of homemade brownies!). 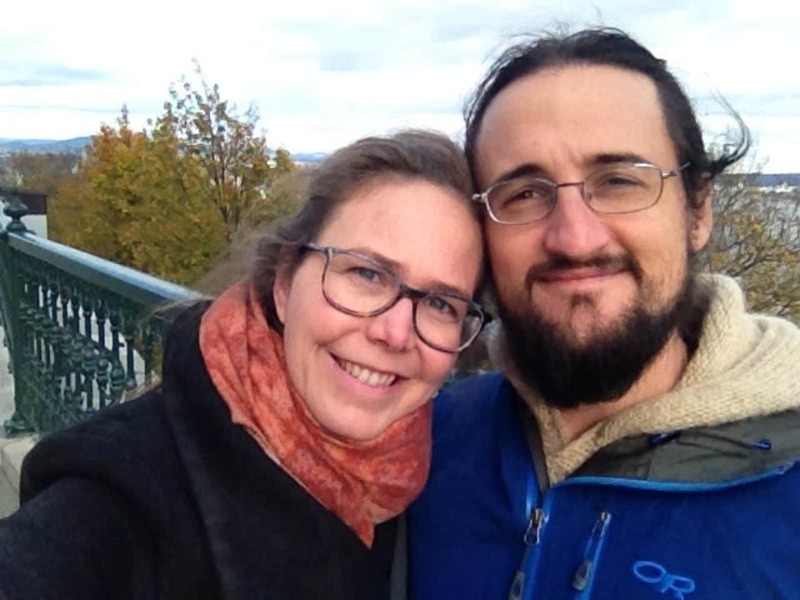 Professionally, Deborah has been a university instructor for a number of years, most recently at Concordia and McGill Universities in Montréal; she teaches music therapy and practices this as well (please feel free to visit her website to learn more about her work: www.deborahseabrook.com). Deborah is also working on her PhD in music, health and wellbeing. Owen is a textile artist who spins his own yarn and weaves this into beautiful unique blankets, throws, scarves and cute stuffies (Owen's website is: www.owenbrush.com). Our favourite places in the world are nearby the ocean, we also enjoy cycling and yoga! 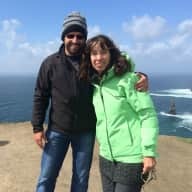 We are generous and open hearted people and would love to connect with similar folks in a housesitting exchange. If you resonate with what you read and think we might be a good fit together, we'd be glad to hear from you! 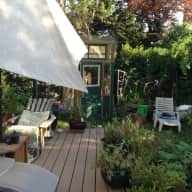 We are currently living in the city of Montréal during the school year, while Deborah finishes her studies; while we enjoy the vibrancy of the city, we would much prefer to be living somewhere quieter and closer to nature! We are hoping that house sitting will give us an opportunity travel and spend time in those quieter and soulful places. We're not currently able to have our own pets given our current work, travel and apartment situation, so would really welcome the opportunity to cohabitate, care for, and soak up the wonderful energy of animals for a time as well. We were honoured to complete our first housesit this past summer over 6 weeks in Helsinborg, Sweden. It was a joy to care for Lucille (a sweet cat with attitude!) and learn more about the Swedish culture. We are looking forward to our future sits! 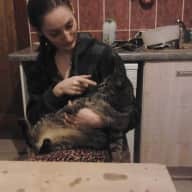 Responsible Loving Care of Animals: We both have a great love of animals, and have grown up with dogs (big lovely German Shepards, sweet miniature schnauzer and a rescued flatcoat Retriever!) or cats (always adopted and full of personality!) around. Owen has had experience looking after sheep and chickens while volunteering on a farm for one winter (WWOOFing). He also has some experience with bees from being a part of an urban bee-keeping collective, and has a good amount of gardening experience. Deborah has also cared for egg-laying chickens and gentle horses on an organic farm in Ireland (WWOOFing). One particularly eventful summer, Deborah house sat for three show dogs, one of which was a puppy! Taking them on walks and through off-leash parks together was always lots of fun! Responsible Loving Care of Homes: Last year, Deborah had the opportunity to stay in a professional's fully furnished luxury loft for a number of months through Sabbatical Homes; it was a real honour and she was careful to treat the space with respect and care, checking in regularly with the owner. Owen was also the caretaker of a carefully restored farmhouse in the heart of Halifax for a number of years, responsible for renting out the rooms and looking after the property and gardens. Deborah and Owen were absolutely fabulous sitters for our 3 big dogs. They each possess the perfect combination of warm and conscientiousness. They are kind, calm, generous, flexible, and genuinely warm, while also being 100% competent, mature, thoughtful, professional and reliable. Our anxious boys immediately took to them and we knew the stay would go very well. 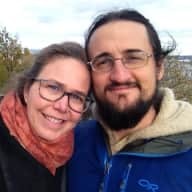 Our very positive impression was reconfirmed many times over when Deborah and Owen sent us daily updates, photos and videos of our dogs happily playing, hiking and napping. We had absolutely no worries nor guilt about our babies while on vacation as we knew they were having a great time and 100% safe. We hope can get Deborah and Owen to house sit as many times in the future as they are willing! Deborah and Owen were lovely and attentive Housesitters. 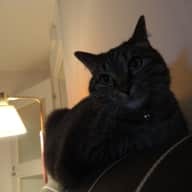 From the beginning they provided updates on how my 2 cats were adjusting; early on they needed to respond to a health crisis in my elderly cat and made prompt consultation with myself and a family member to resolve it. I appreciated how diligent they were in pet care and garden care - making extra effort to ensure my yard plants survived a dry spell, keeping the humming bird feeders fresh and filled, and sending me frequent updates, photos, and videos. 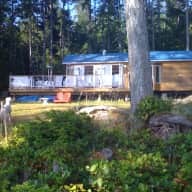 I came back to a house just as I had left it , with some home made food and some snacks in the fridge, super tidy rooms and a newly trimmed lawn. This was my first house sit arrangement and it was a very positive experience. Conscientious and kind, warm-hearted and friendly. Responsible, resourceful, quirky, fun, and open-minded. Your house will be happy to have them, and sad to see them go. Deborah lived in an apartment in our house for two years and also house sat for us and took care of our cat on many occasions so we know her as a tenant and as a house/pet sitter. We loved having her as a tenant- she is a really lovely person and since we shared an entrance there were many times that we crossed paths. She was friendly but also very respectful of the common space. She also took care of our cat on many occasions and he seemed to also be satisfied with her care. I totally recommend her to sit your house and/or take care of your pets! Deborah is a highly respected colleague and friend who I very strongly recommend with complete confidence as a house and pet sitter. Deborah is exceptionally mature, responsible, considerate, thoughtful, professional, organized, and kind. I would trust her completely to house sit my own home, and to pet sit (if I had pets). While I know Deborah more in a professional context, her reputation as a colleague who you can be assured will be punctual, responsible, engaged, dedicated, and will rise to whatever task is asked of her are definitely traits that translate well to any other responsibility. Deborah is quiet and deeply respectful, something that no doubt would also be appreciate by neighbors. She is also so very likeable!